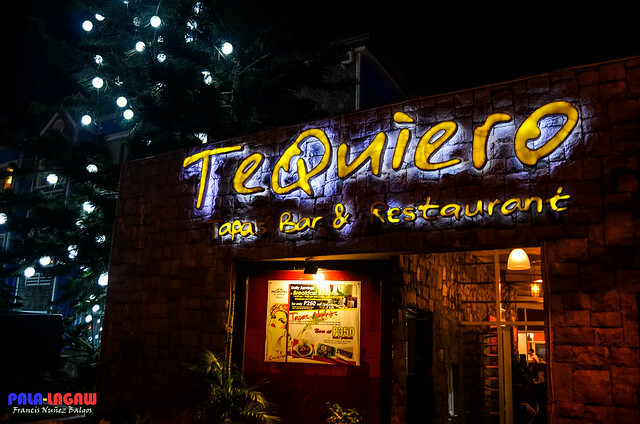 Te Quiero paved our way for a fun night, good food, good music, warm welcome, cold highland weather and a window view of the sprawling night time metropolis of Baguio City. 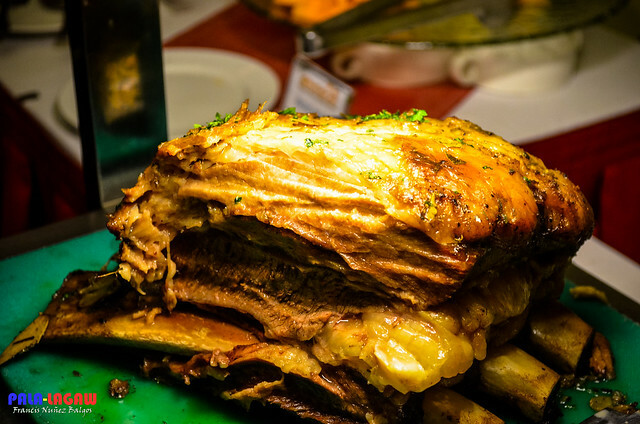 A rather small and dainty place to dine, but considering that this Tapas Bar and Restaurant can be a good set up for intimate dining experience. Just so, we stepped into the threshold, taking in the dim sulfur lights, the band is noticeable as we have to pass by in front of them before we can proceed to the dining area lined with couches, there's the central table where our buffet food is on display for servings. Even though this is a Tapas Bar (snaks, finger food, pica pica) serving some of Filipino favorite Spanish dishes, it felt sumptuos. 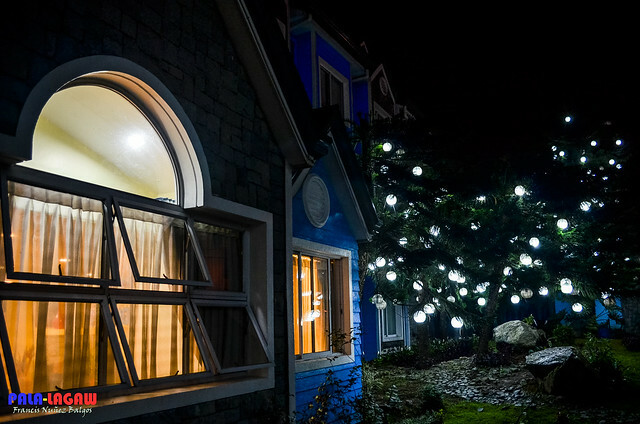 We were led to a designated table, before an open window overlooking the night time Baguio scenery. In just a few minutes, Mr Roy Martin came to greet us and gave everyone a warm handshake and welcoming gesture. 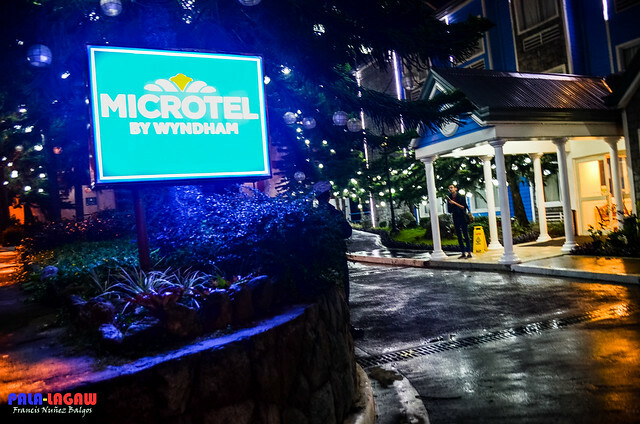 Microtel By Wyndham in Baguio is under his wing as the area general manager of JIH Prime Management and Dev't Corp. 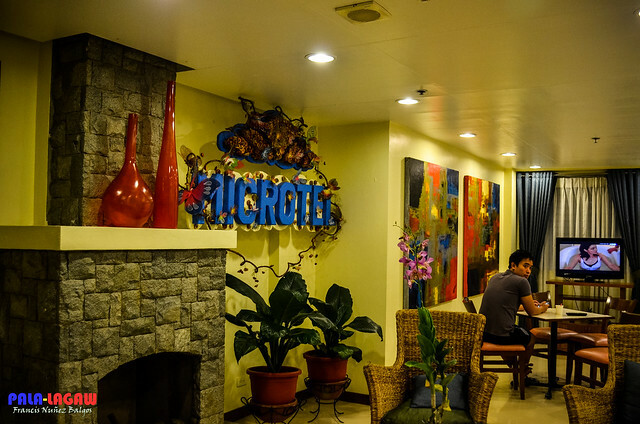 He warmly talked to us about Microtel and this Te Quiero Tapas Bar like a giddy kid who is proud of his toy, a very likeable man who comfortably lets his guard down and engage in us not as a business man but rather as a person who is very affectionate of Baguio City. Time to check out the food, since I was not really feeling famished, the Pica pica food seemed to be just right for dinner. Although there are a handful of dishes I can check out, I'll only choose some that I actually tried. 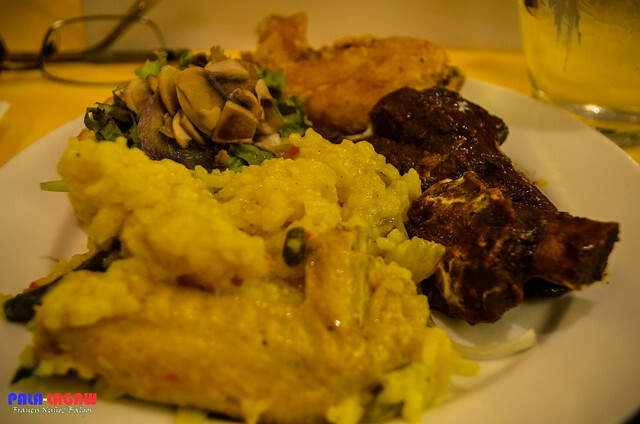 Mr Martin says that their dishes are constantly changing, depending on the occasion, though they have the regulars that can be offered off from their menu, the buffet table changes its facade constantly. 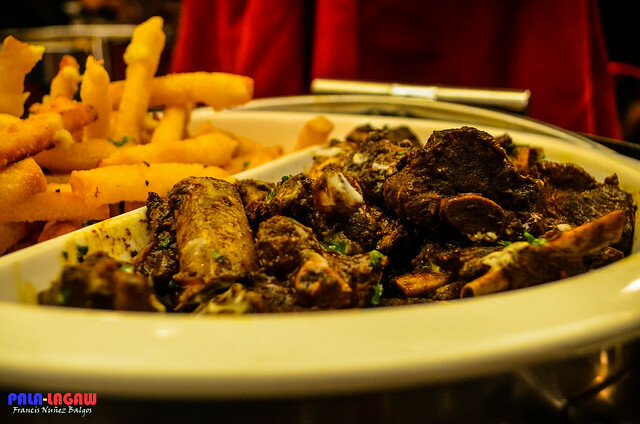 Beef Short Ribs in Aujus - placed in a corner, under a spotlight, it can't be helped but notice that this is the star menu for the night, with mushrooms sauce and that sinfully tender meat. Its just the way I like it, celebratory as it looks. 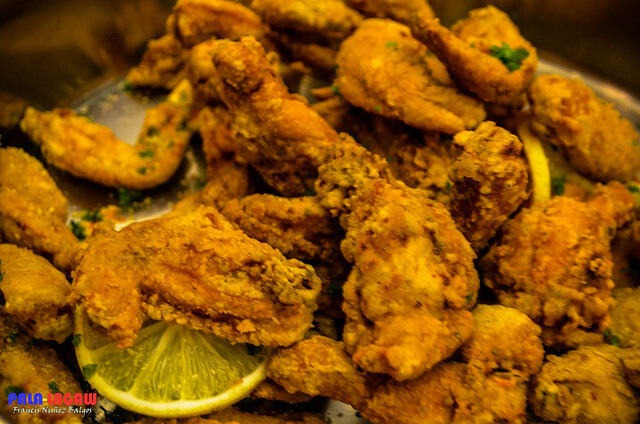 Spicy Chicken Wings - dished with lemons, though I find this to be regular, muching on fried chicken is good for as a finger food. I just hoped that the meat was juicy enough, I find this one to be a bit dry. 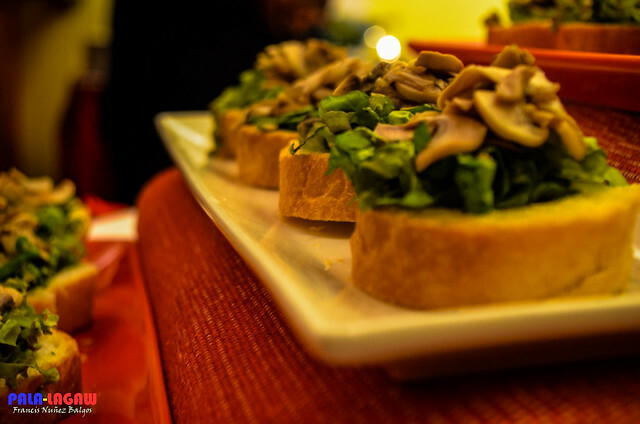 Bruschettas - known as an Italian Appetizer, I find the mushroom topping to be out of place. But still a good starter for a sumptous meal. Pork Back Ribs - A little strong on the sauce, and surprisingly, I like this one better than the Beef Short Ribs in Aujus. 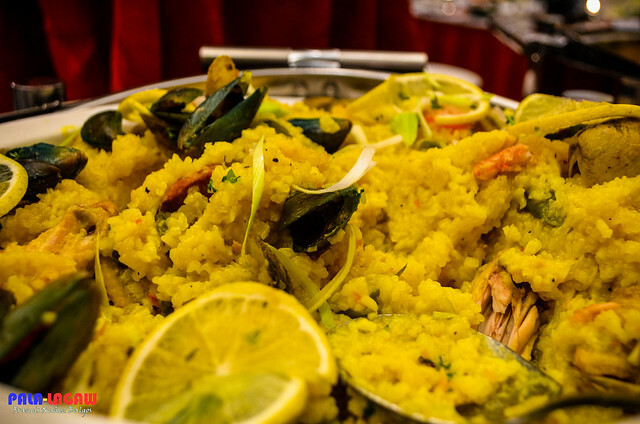 Arroz ala Valenciana - The Spanish dish that we all know. I find it too sticky though, and since I am not really a fan of Seafood, I kind of avoided those Green Mussels (Tahong) and the Shells. This though compensated for not ordering any rice. Take a look at my plate, though they are mostly Pica Pica. It didn't frisked my appetite, just enough was okay for me. 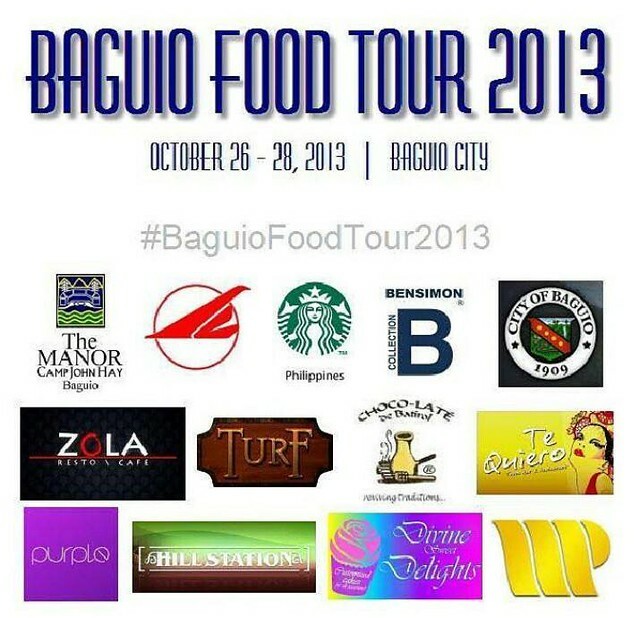 With the cold Baguio weather, I am actually surprise that I am craving for cold drinks. 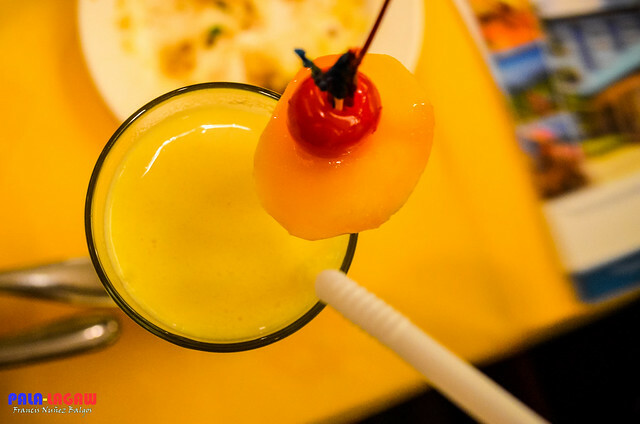 Here's my Fresh Mango Fruit Shake. 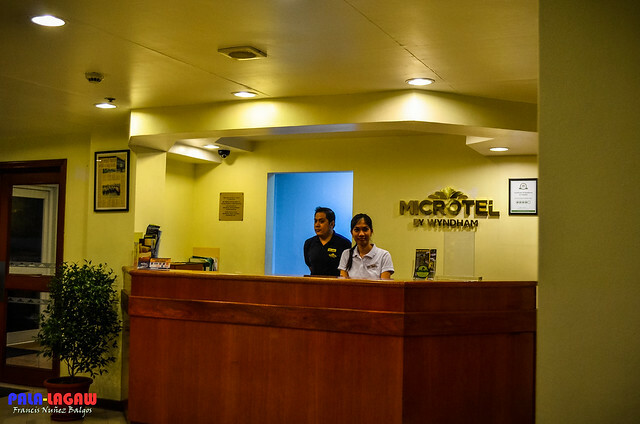 Once we were full and grinning with satisfaction, Mr Martin gladly invited us to see for ourselves the insides of Microtel Inn and Suites, a little tour is in the way. Coming from a side entrance in Te Quiero, we went directly to the lobby of Microtel, with some of its Guest lounging in. The only available showroom at the time, and we all gladly hopped in. We stepped out in the front entrance, to find wet pavements and a mild rain kissing Baguio. Microtel is ready for Christmas, their Christmas decorations sure looks festive. 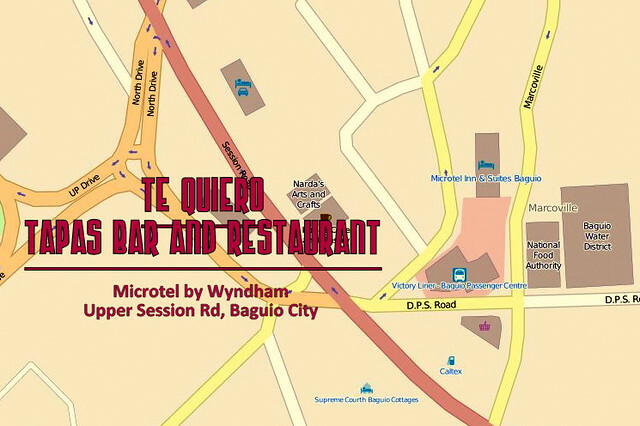 Te Quiero Tapas Bar & Restaurant is in between Microtel and Victory Liner Terminal. 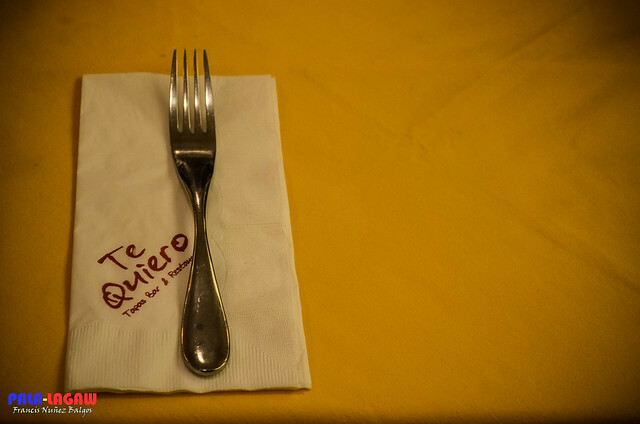 Te Quiero Tapas Bar & Restaurant is a proud sponsor of the Baguio Food Tour 2013, supported by the Baguio's Department of Tourism and participated by 10 Food, Travel and Photography blogs all across the Philippines. I like your work we are providing catering services in Greensboro NC.